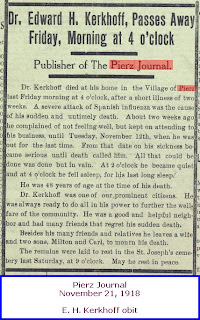 As we peruse the issues of the Pierz Journal that're online so far, we've had the feeling that the editor was a nice guy and definitely a Pierz booster who also saw the villages' shortcomings. 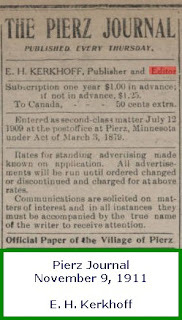 When we realized there were three different men in that position between 1909 and 1916, not to mention the one given credit on Minnesota Reflections, F L Preimesberger....who's name never shows up on the paper's masthead...(what's with that? ), we started looking closer, as we do ☺. 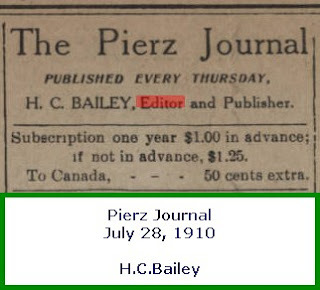 From what we can tell, H.C.Bailey started the Pierz Journal in 1909 but left 15 months later, in September 1910. 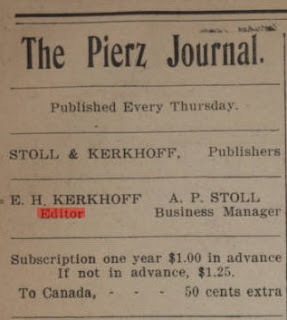 He'd sold the operation to two well-known citizens of Pierz: Anthony P. Stoll, a cashier at the bank, and Edward H. Kerkhoff, a local doctor and surgeon. 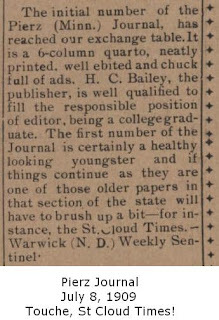 What did they know about editing and publishing a newspaper? 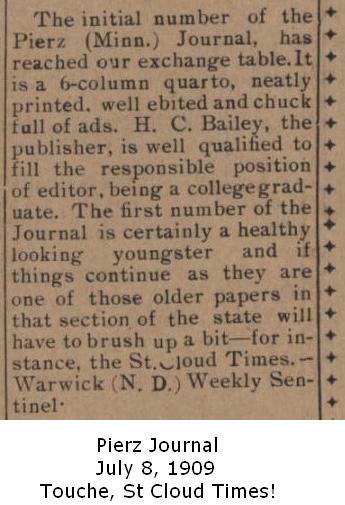 Evidently enough, because the paper continued every Thursday without pause. 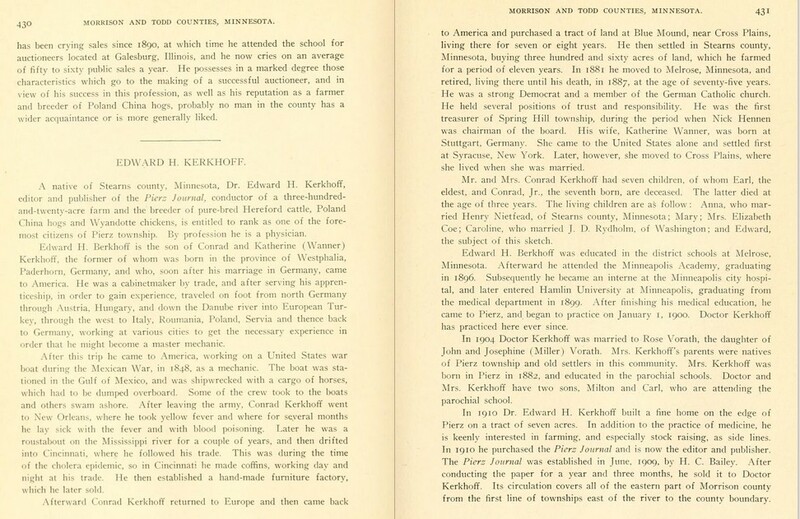 We noticed that, after Stoll & Kerkhoff took over, Math Hesch's Buckman news became "Buckman Correspondence", and it was most often on the top of page 3. A year+ later (November 1911), Dr Kerkhoff seems to have bought-out Tony Stoll to become "Publisher and Editor" himself. 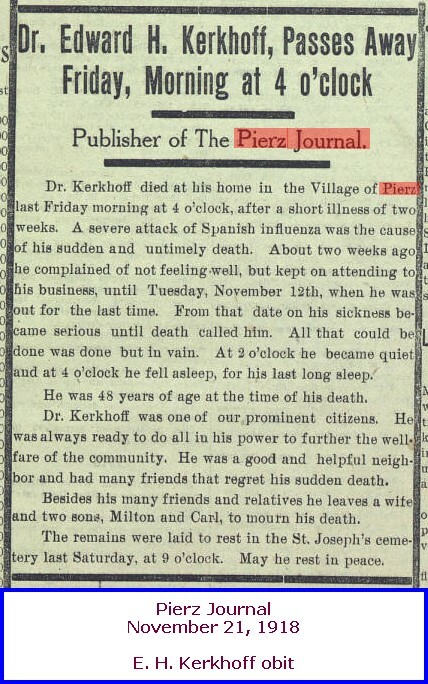 Turns out, Dr Kerkhoff died November 15, 1918, with the obit appearing the next Thursday. 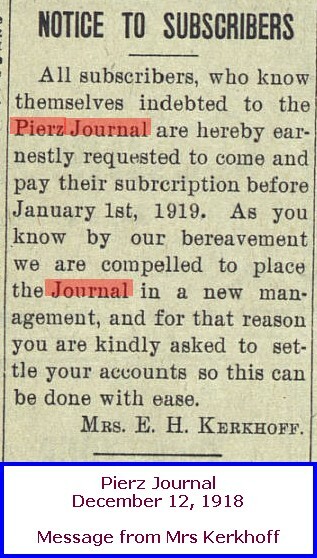 Mrs. Kerkhoff placed the Notice to Subscribers (left) and two months later, the announcement (right) of new ownership. 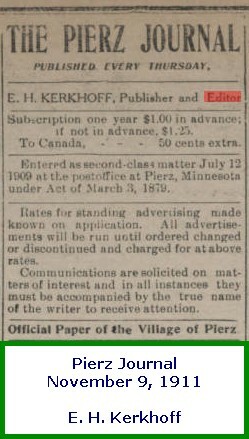 I assume Minnesota Reflections has listed "F. L. Preimesberger" as the publisher cuz he did it longest (?) 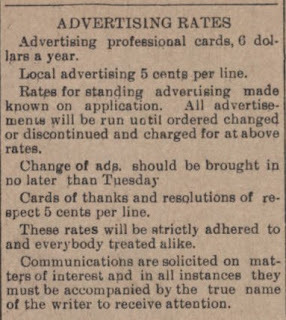 We only have 1909-1919 to go by so far...but YAY, we have 30 additional months to explore now ☺. 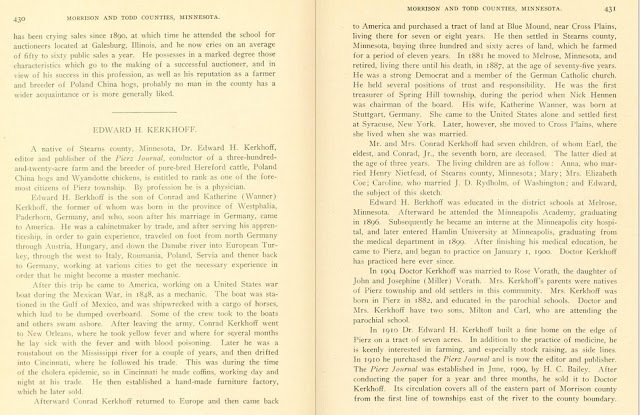 A History of Morrison and Todd Counties, Minnesota. 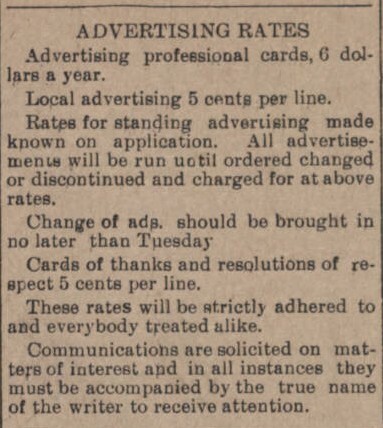 Never let it be said that we're not thorough.